Should you have gone to trade school instead? College enrollment and degree achievement have increased almost every year for decades. PBS reported that nearly 40 percent of Americans hold at least a two-year degree. As Georgia State students dish out thousands of dollars in tuition and student fees this fall, some may wonder whether vocational school, colloquially known as trade school, could have been a better option. Recent studies have shown that bachelor’s degrees are no longer giving graduates an edge in the job market. When considering the swelling cost of enrollment, four-year universities may not always be a better financial investment than trade schools. Lucrative jobs that don’t require a college degree are sitting vacant while students rack up debt and pursue controversial unpaid and underpaid internships. One year of college will set a student back by an average of over $20,000. The typical graduate from a four-year college will garner over $30,000 of student debt, not including the students who enter universities but don’t graduate. This figure also doesn’t include students who incurred debt from universities besides the one they graduated from. 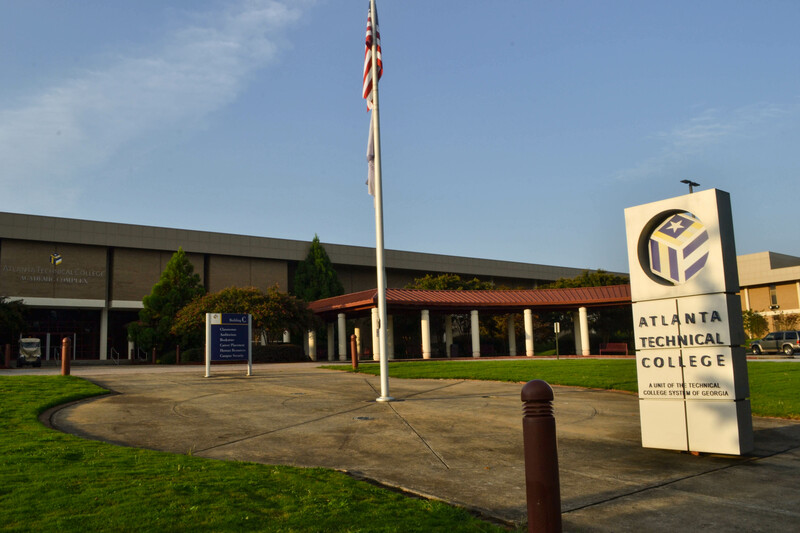 In comparison, the mean cost of trade school in Georgia is approximately $8,000, with programs typically lasting one to two years. In conjunction with the lower costs of vocational programs, the wages for the jobs they yield are increasing, possibly due in part to an aging workforce. Fewer young people are vying for positions in construction, electricity and other forms of blue-collar work. Jobs in construction—with the number of slots available projected to increase 11 percent by 2026—pay more than the average occupation with salaries ranging from $39,000 to over $80,000. And a significant advantage of blue-collar jobs, like emergency medical technicians, electricians, ironworkers, etc. is that they can’t be easily outsourced to less-developed countries where employers could pay their personnel significantly lower wages. In contrast, computer programming positions and tax preparation jobs are being sent overseas. The downside of trade work is that there may often be less room for wage growth. For most jobs, unless you end up in management or start your own business, the median wage doesn’t go above six figures. That being said, the work is steady and salaries are guaranteed, especially compared to those who go into esoteric fields like film or art history. “The cool thing about going to trade school is you’ll never lose that experience. You could potentially go to a trade school, get your license, then go to college and have a career during college if you really wanted to!” Amber Millitello, a cosmetologist, said. Traditionally, trade schools and the companies they send graduates to have actively recruited students from low-income families. Since the 1980’s, there has been a strong push to send children from disadvantaged socioeconomic backgrounds to four-year colleges in hopes of narrowing the income gap, an initiative that experts are not sure is effective. Another reason why fewer students are enrolling in trade schools is a persistent stigma surrounding blue-collar work. It can be wrongly stereotyped as a route people turn to when they aren’t intelligent enough for a four-year degree. Yet, blue-collar jobs often require a high level of technical knowledge and a strong work ethic. For example, paramedics aren’t required to have college degrees, but few would question the intensity of their work or the depth of their medical comprehension. There’s no doubt that other occupations often require workers to be intelligent; electricians and technicians must have robust foundations in math and physics. Furthermore, this essential blue-collar work shouldn’t be looked down upon even if all it requires is training and tenacity. Indeed, some employers have said that they simply want hard workers with the drive to learn. “[T]here’s no shame in factory work. That’s at any level of the workforce. It’s all needed. From someone to clean the floors up to running the company. Good help is hard to find,” Chuck Carrier, a former plant manager, said. The company that Carrier works with has been seeking workers for months without luck. “I could see during my time as plant manager that there weren’t as many younger people getting into fabrication. Applicants were mostly in their mid-thirties and up. Lots of people in their late 40s and early 50s were taking classes in skilled trades,” Carrier said. “We cannot find traded people to fill our maintenance positions. Our tradespeople make [$50,000] a year with very little experience. Just had a high school senior start out as a welder with a high [s]chool certificate making [$18] an hour,” Steve Conrad, who works in human resources at a factory, said. Besides the persistent stigma, there may be other hidden costs in trade work. Some skilled workers in construction and manufacturing worry about the possible deterioration of their physical health when the work involves heavy labor. Still, it’s unclear if physical work is worse for people than sitting in an office all day. Indeed, studies show that Americans’ sedentary lifestyles are one of the most significant risk factors for long-term illness and disability. Even regularly exercising doesn’t counteract the adverse effects of sitting down for hours on end. The workers who spoke to The Signal emphasized that at the end of the day, it was important to them not to pursue a career they didn’t care for in the quest for money. There are jobs that don’t require a degree but that require skills—skills that can be self-taught (like Information Technology). At this point, many college degrees don’t actually lead to better jobs but may be fulfilling in other ways for those who desire to take classes for the education, not the careers they lead (or don’t lead) to.